Howey-in-the-Hills, Fla. – Here at the Gary Gilchrist Golf Academy, junior golf coach John Scott Rattan is known for being one of the best ball strikers and having one of the prettiest swings. Last Friday, the former University of Tennessee golfer lived up to his reputation as he posted an impressive 3-under 69 at Walt Disney World Resort’s Magnolia Course to advance to the next round of U.S. Open qualifying. Rattan was one of 9,086 golfers that played in 111 local qualifiers held across the country May 7-20, second-most entries in U.S. Golf Association history. Of course, the near-record number of entries all had their sights on playing in this year’s 110th U.S. Open at historic Pebble Beach Golf Links June 17-20 in Pebble Beach, Calif.
Rattan’s 69 actually tied him for second with local Orlando resident and former University of Kentucky golfer Matthew Kohn. Orlando resident Matt Kocolowski shot 68 to pace the field. First, Rattan must make it past the grueling Sectional qualifying round, a 36-hole test scheduled for two international sites on May 24 and 13 U.S. sites June 7. This isn’t the first time Rattan has made it this far in pursuit of playing in the U.S. Open. Two years ago, the Maryland native shot 71 in the local qualifier and was two shots shy of getting out of the Sectional and making it to the U.S. Open when he shot 1-over 143. This year, Rattan will try to qualify at a course he knows well: Woodmont Country Club in Rockville, Md., a place Rattan has played dozens of times growing up in nearby Gaithersburg. Interestingly, Rattan, a former Maryland individual state champion, caddied for Bill Haas at Woodmont in 2005 when Haas shot 68-64 to win the Sectional and qualify for his first U.S. Open. Rattan figures he needs to shoot 140 or better to advance out of this year’s Sectional. After making it through his year’s local qualifier, Rattan credited GGGA assistant director of instruction Scott Shaffer for a recent putting tune-up and Pat Etcheberry trainer/GGGA house-parent Alex Antunes for a fitness-related tip. 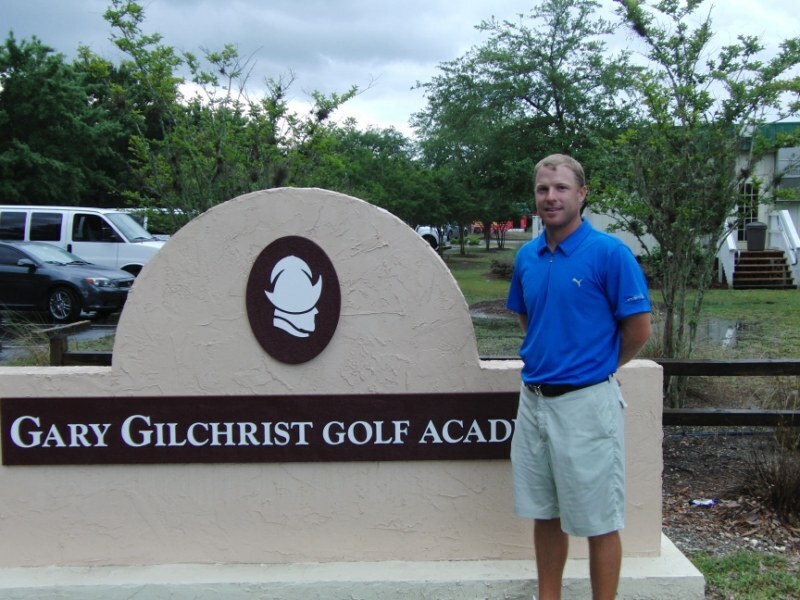 Rattan is one of the newest members of the Gilchrist Golf Academy coaching team fresh off an impressive playing career. At Tennessee, Rattan was a second-team All-Southeastern Conference golfer and also made the first-team All-SEC Academic team. After graduating from Tennessee in 2005, the top-flight golfer played professionally on the Hooters and Tar Heel Tours, including scoring a course-record 63 at the Hooters’ Touchstone Energy Open event in Greenville, N.C., in ’07. The acclaimed golfer reached the pinnacle of his pro career when he played in the Nationwide Tour Knoxville Open in 2008. Prior to joining GGGA at the start of the year, Rattan recorded a strong pro victory in the PGA Sectional Tournament Series event in Port St. Lucie, Fla.
After playing professionally for four years, Rattan returned home to Maryland and worked for Columbia Country Club, where he oversaw the junior inter-club program. Rattan hopes to post the biggest win of his career next month in Maryland.